Other Products are products not otherwise categorised and include innovative products such as roundness measurement from Taylor Hobson, torque measurement, thickness measurement of transparent products from Nirox, as well as other technologies such as flush and gap measurement with the famous LaserGauge product line, laser projection systems and level and alignment systems from Taylor Hobson and TESA. After inventing the world’s first roundness measuring system in 1949 with the Talyrond 1, Taylor Hobson have over the years maintained their market dominance with this range of roundness and cylindricity measuring equipment since that time with a range of class-leading products. The range now includes the Surtronic range of portable roundness measuring equipment as well as the various model Talyyrond systems up to the very impressive TalyMaster system for measuring cylindricity of a whole carousel of machined components. We have an extensive range of alignment products from Taylor Hobson including micro-alignment and alignment telescopes with laser and infra-red options and ultra high accuracy and ultra long distance as well as standard autocollimators as well as a full range of accessories and ancilliary equipment – for any alignment application. Our level products come from both TESA as well as Taylor Hobson with Clino-Bevels, Microptic Clinometers, digital inclinometres, and the Talyval flatness / straightness measuring range of products. 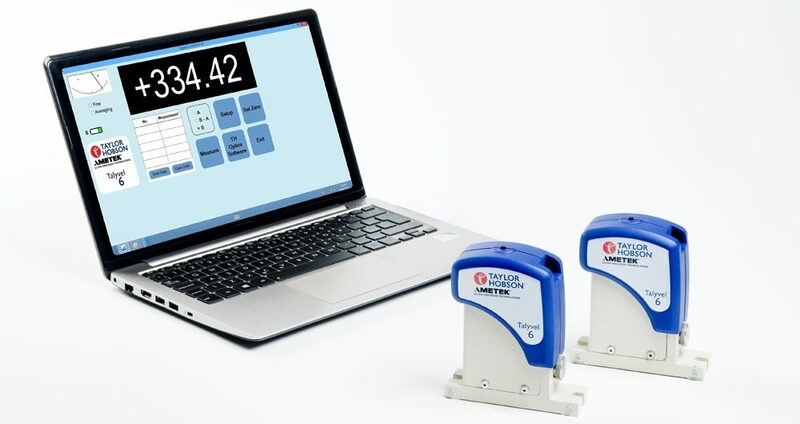 The LaserGauge has become the industry-standard in the automotive and aerospace markets for accurately the flushness and panel gaps between panels in a wide range of applications around the world. Torque measurement such as prevailing, residual or break-away torque are critical for today’s assembly-line operations in order to enhance product quality, safety and customer satisfaction. The LightStar range of torque wrenches from ASI Datamyte are available in a range of torque ranges in both wireless and wired formats and when coupled with the 600 data collector units, also from ASI, forms a very powerful enterprise-solution for the measurement and audit of fastener torque. Laser projection system or laser templating solutions are widely used in industry to allow manufacturers to accurately and effificiently position mating components in assembly operations and help to avoid assembly errors and mixed components. The range of laser projection systems from LAP Laser in Germany cover a wide range of industries – from high-end 3D aerospace systems to entry-level projection systems for building products manufacturers and shipbuilders and everything in between. Thickness measurement solutions from Italian-developer Nirox are innovative in applying the latest technological developments and inventions to the challenge of measuring the thickness of clear or transparent materials such as hollow tubes of glass or quartz – either off-line or on a continuous in-line applications.